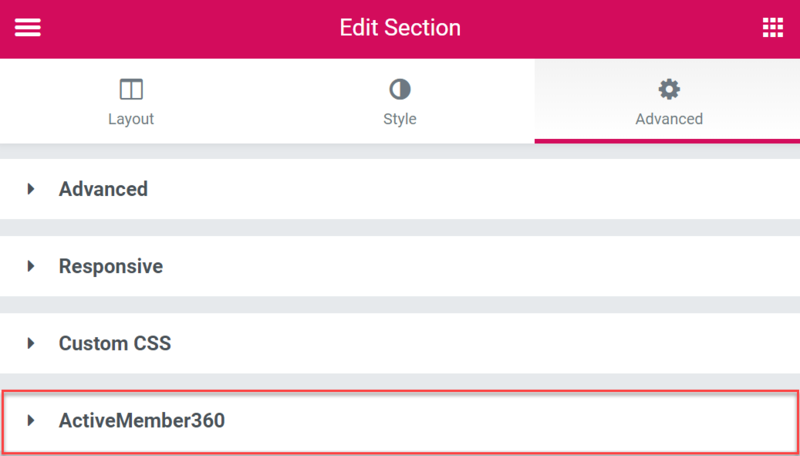 After enabling and saving the above setting, ActiveMember360’s Elementor integration can be found in the advanced tab of your section/element when editing a page, post etc. with Elementor. 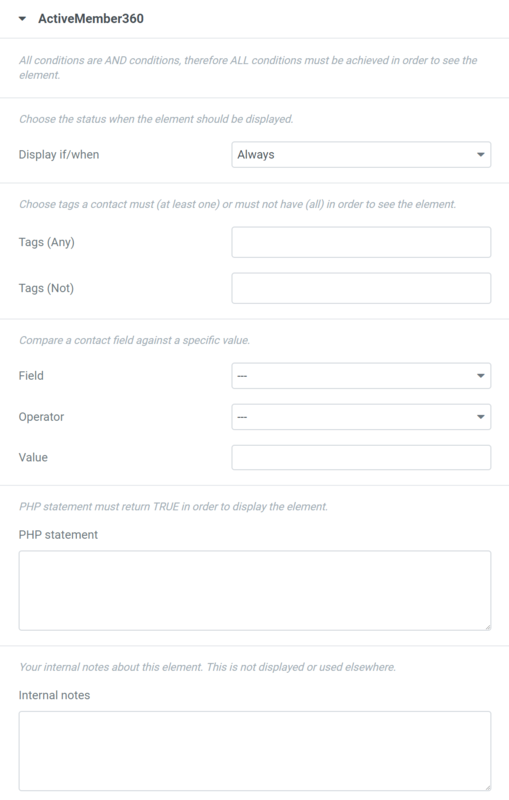 Expand the “ActiveMember360” category and configure the display settings for the current section/element to your needs.